OH MY GOD, THAT WAS INTENSE!! If you have ever been at the finish line of an obstacle race or mud run you have probably heard someone utter those words after crossing the finish line caked in mud, bruised, and often bleeding from a scrape earned while on the course. We have all felt it at one time in our racing career, that rush of excitement after a particularly challenging obstacle. We have all seen that face that a fellow racer makes when they finally get over that 8-foot wall or climb that rope. It's that intangible sense of excitement that can hardly be described and truly only felt by the participant. Most in the obstacle racing community feel this rush as they complete a Spartan Race Beast, conquer the Tough Mudder Electroshock Therapy or Everest, or complete the Platinum Rig at BattleFrog Series. When the word intense is thrown around in OCR, it is often associated with the events that also carry accolades such as badass and extreme. Generally, events like Warrior Dash, Dirty Girl Mud Run, and others don't carry the same weight, or do they? The word intense comes from Middle English from Middle French from Latin dating back to the 1400's according to Merriam-Webster Dictionary. Its formal meeting is; existing in an extreme degree, having or showing a characteristic in an extreme degree, marked by or expressive of great zeal, energy, determination, or concentration, and deeply felt. It is this extreme degree that those in the obstacle racing world often mean when using the word intense. For anyone that has done a mud run or obstacle race, words have little to do with intense and instead it is the feeling that most associate to the experience of the event. Can a Dirty Girl Mud Run be Intense? Recently, while finishing up graduate school at the University of Vermont, I was stopped by another student in my class and asked about Dirty Girl Mud Run after wearing a pullover with the logo to an earlier class. 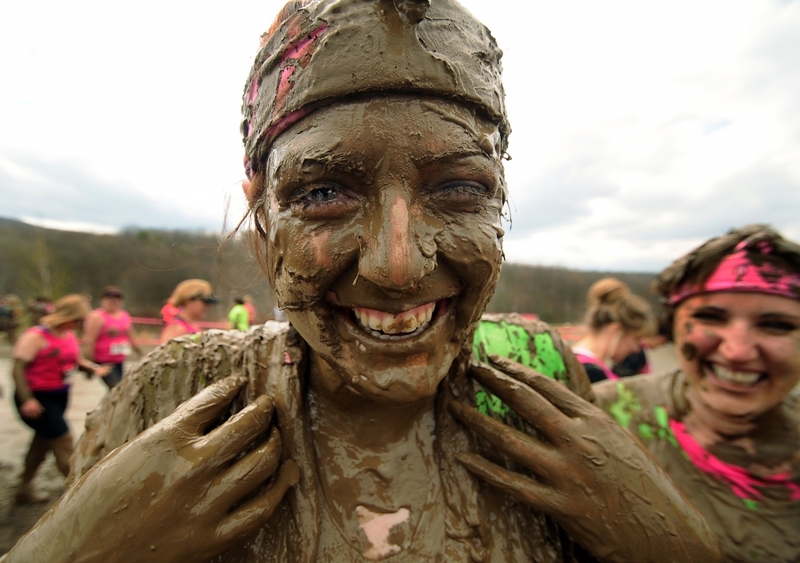 As we engaged in the conversation, she started to describe with excitement her experience at the Dirty Girl Mud Run in Killington, Vermont last year. As she continued to talk, the tempo of her voice picked up and the excitement of the experience was visible. She used the word intense several times in her description of the event. For veterans in the OCR world, intense is hardly an adjective that typically would describe a Dirty Girl Mud Run. The 5K event is geared for newcomers and first-timers and includes about a dozen obstacles throughout the course many of which are inflatables. It is mostly thought of as the event you would bring your mom to as a gateway into the sport. But yet, for this young twentysomething graduate student, this event was just as intense, scary, exciting, and extreme as any Spartan Race Beast or Ultra Beast, Tough Mudder or BattleFrog to a veteran racer. While some seasoned racers might laugh and say, “if you think that was intense you should do …” or “that's nothing like … now that is intense” as I listened I nodded and congratulated her on her achievement of completing her first mud run. As I sat and listened, my idea of intensity in racing changed. To her this was the “most intense” thing she had every done in her life. Who was I to take away from her experience? Who Decides What is Intense? A quick look at the OCR forums online and it would seem the only way to be “intense” in the obstacle racing community is to complete that 10 trifectas in a year, do over 50 miles at World's Toughest Mudder, complete the course on American Ninja Warrior, or run some other insanely long or obstacle dense course. We often see online those who describe their “intense” experience at a Warrior Dash or other mud run poo-pooed by the general online audience. But who are we to judge one person's experience over another. As stated above that feeling of “intenseness” is often something best felt not said. 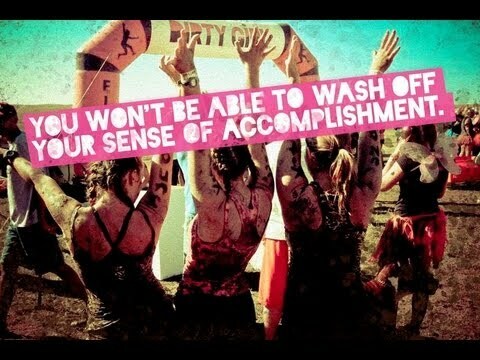 There was no doubt in my mind after my conversation with a classmate that Dirty Girl Mud Run was just as intense for her as completing 50-miles at World's Toughest Mudder was for me. We both felt the rush, both were pushed, and in the end, both are better people all due to the OCR industry. Your intense and my intense can be two different things, but we both share that same indescribable feeling at the finish line. Good for you. I absolutely love this article. I understand that what’s intense for one person might not be intense for another. That’s always worth remembering. As a general rule though, when a course is designed such that even avowed couch potatoes can complete it — Warrior Dash, for example — then I think that calling it “intense” is a bit of a stretch. We can acknowledge that the experience might be intense for a beginner, especially if that person is out of shape. That person would deserve props as well, especially if this gets him or herstarted on a fitness journey. Calling the course itself “intense” would be a bit overreaching, though.